← ANTIQUE BRASS LOCK – LEVER GOES IN BOTH SIDES!!! Price $45 USD. Item no - OA 175. 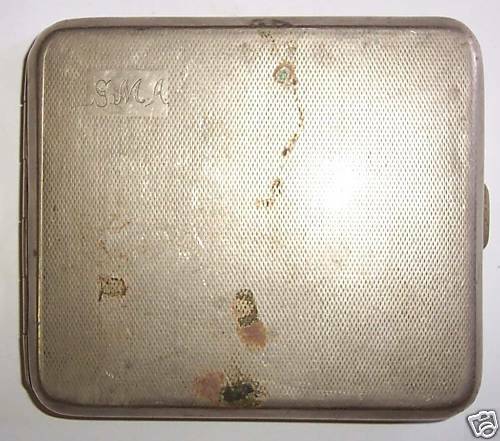 INDIA ANTIQUE CIGARETTE CASE -ENGLAND MADE – GERMAN SILVER. WEIGHT OF THE CASE – 94 GMS [APPROX]. L – 4 INCHES APPROX. B – 3.25 INCHES APPROX. Price $45 USD. Item no – OA 175.